The overarching goal of the “Wellness Connection” service is to provide seamless, coordinated, health management and medical services to the Hotel Oakland Village seniors as they “age in place” with a free, long‐term, adjustable “Wellness Plan”. As residents develop health challenges over the years, the Wellness Director will coordinate participation in assisted living services on‐site as well as comprehensive skilled nursing medical support services through on‐site medical personnel. The Wellness Connection Program includes an important “Interactive” component with residents. 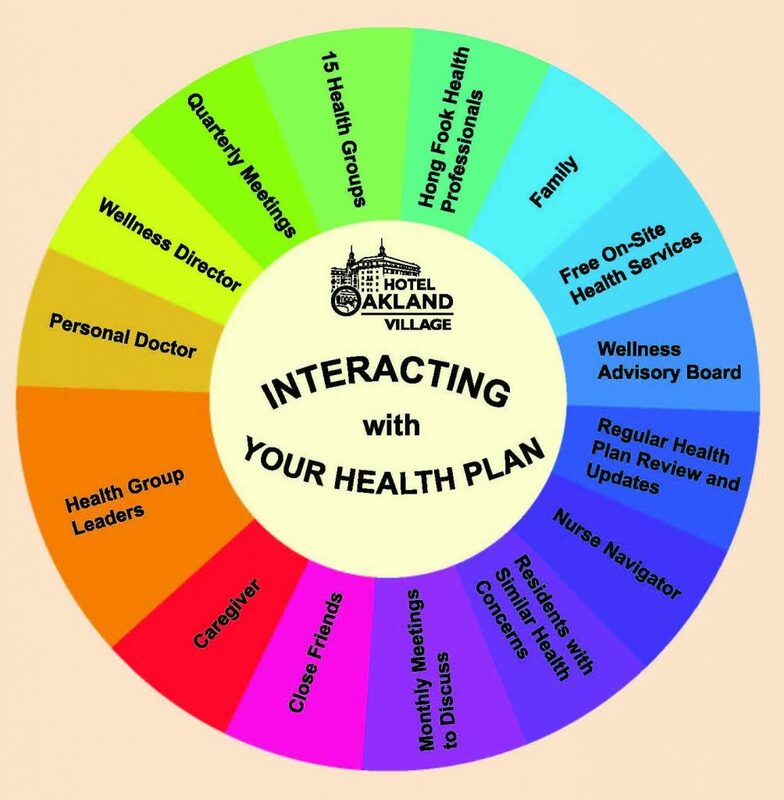 The attached chart shows the different components of the Village that “Interact” with the Wellness Plans. The Wellness Connection Program is believed to be the first in the nation in an affordable senior community! ← New Health Service Available at Hotel Oakland Village!